Design Tiles by Zumpano Tile opened for business in 1972. The company continues to lead in providing innovative, value driven, tile, stone, and installation products. Design Tiles by Zumpano supplies top quality natural stone, ceramic and porcelain, glass, decorative mosaics, and trim pieces. The tile flooring comes from domestic production facilities and imported from the finest factories around the world. The company offers an extensive assortment of cutting edge designs, superb quality, and outstanding service. Providing stylish products and quality service is this family owned business’ mission for over 40 years now. Check out our collection of Zumpano Tile flooring. Shaw ceramic tile is available in ceramic, porcelain, glass, marble, slate, and stone. The tiles vary from floor tiles, wall tiles, and different accessory tiles. 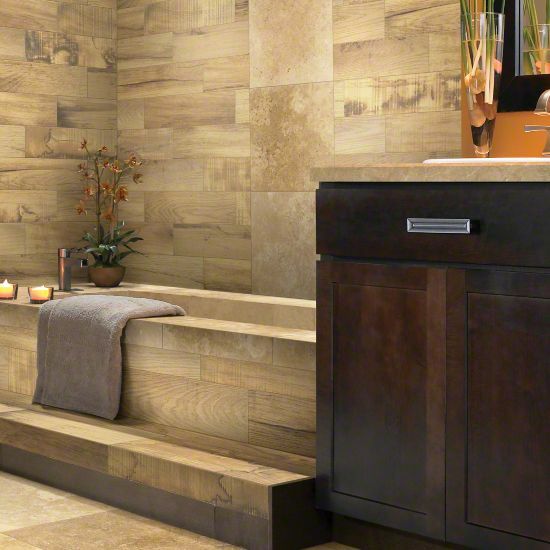 Shaw ceramic tile allows the customer to create any kind of design they want with the tile. The tiles vary in sizes from 2 inches all the way to 18 inches. Explore our collection Shaw Ceramic Tile. Recently, Shaw Industries released their 2014 Sustainability Report. Shaw shifted to the Global Reporting Initiative’s newest G4 standard converged with a notable increase in the demand for supply chain transparency surrounding product ingredients across the flooring industry. Shaw was prepared for the shift after designing for Cradle to Cradle Certified product standards. The company is continuing to develop innovative sustainability solutions to create a better future for its customers, associates, and communities. Shaw’s holistic approach to sustainability is that every material, every process, and every action is designed for a better future. Shaw announced a more than $20 million investment in a new recycling facility in Ringgold, GA. This new facility is called Evergreen Ringgold, and it will be the first of its kind to recycle nylon as well as polyester carpet. This expansion to Shaw’s recycling capabilities builds upon the company’s efforts that have resulted in the collection and recycling of more than 800 million pounds of post-consumer carpet since 2006. Shaw takes the utmost care to ensure that the materials that go into its products are both safe and environmentally responsible. In 2014, 66 percent of the sales of Shaw manufactured products were Cradle to Cradle Certified Silver. Shaw is committed to communicating responsibly and regularly about its products and the company’s approach to sustainability. Through its commitment to Cradle to Cradle and numerous other sustainability standards and reporting tools, Shaw employs labels and certifications as credible evidence of the company’s commitment to transparency and third-party verification and to help facility product purchase decisions. Shaw recognized the changing needs of its people and its business and identified key leadership characteristics that will be important in Shaw’s success moving forward. Shaw also began to establish more formal opportunities for its associates to support each other through affinity groups such as the Women’s Innovation Network (WiN) and ShawVET. These and other efforts resulted in Shaw being named number eight on the Forbes’ inaugural list of America’s Best Employers. Click here to see Shaw’s 2014 Sustainability Report. Just like your mom said “Take off your muddy or wet shoes before entering the house!” We also suggest making a habit of taking off your shoes when you get home. Its good for your floor and your health. Mom was right! But there are other things you can do to keep you floor clean, beautiful, safe, and clean! Sweep daily for hard surface floors to remove dust and pet hair. Daily sweep keeps hair and dust from wearing the surface of all floors. Use a damp mop to clean up any dirt that the broom did not get. Vacuum every few days for carpet. When vacuuming vinyl, do not use a “beater bar” attachment; this can damage the flooring surface. Place area mats at all of the entrances to the home. Make sure the mats have a rubber backing so no moisture will soak through the mat to the floor. Clean up any spills immediately! If there are any tough spots on your laminate flooring, which can be caused by oil, paint, markers, ink, or etc., then you can use acetone/nail polish remover on a white cloth to clean the spot. If you get mud on the carpet, allow the mud to dry completely. After it has dried, shatter the mud with the handle of a knife, then vacuum as normal. Sand can cause your tile flooring to become dull looking if it is not cleaned off regularly. Clean tile with a mild detergent and clean water with a rag or chamois-type mop rather than a sponge mop. Be sure to clean up any water off your tile flooring so you will not have anyone slipping or falling in the house after being in the pool. After swimming in the pool or playing in the water fountain, be sure to dry off completely or as much as you can before entering the house so you do not get water on the floor. Water is not your floors’ friend; no matter what kind it is! Flooring is the stage where your life unfolds, and awesome things happen on Shaw Floors. Children learn to stack blocks, and they create epic forts. People enjoy dancing and learning to dance. There are many other awesome life events that happen on Shaw Floors. 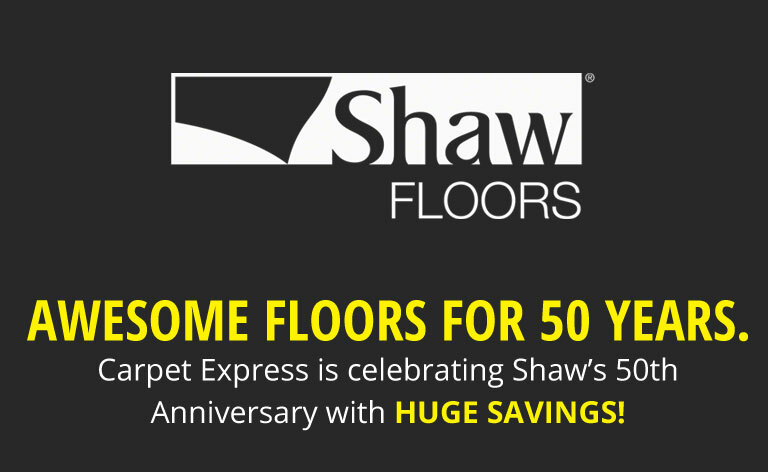 Shaw has exclusive innovations that keep your flooring beautiful no matter what awesome things happen on them. Shaw has many advantages that they add to their floors, which make them more durable and easier to maintain. Awesome Happens when you let your imagination run wild. Shaw has a great flooring design app called Floorvana. Floorvana allows you to take a picture of the room that you want to design, and then you can test out different flooring in the room before even purchasing anything. Click here to read more about the Shaw Floorvana app. Shaw hardwood flooring is also awesome because they hand-scrape their hardwood. Beautiful hand-scraped hardwood floors are a perfect place for awesome events to occur in your home. Click here to see our collection of Shaw hand-scraped hardwood. 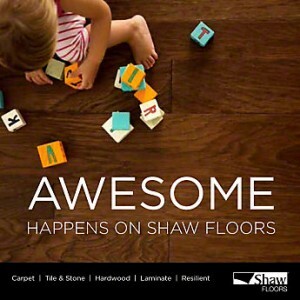 Shaw flooring is innovative, durable, and a wonderful place for awesome things to happen. Click here to see our collection of Shaw hardwood. 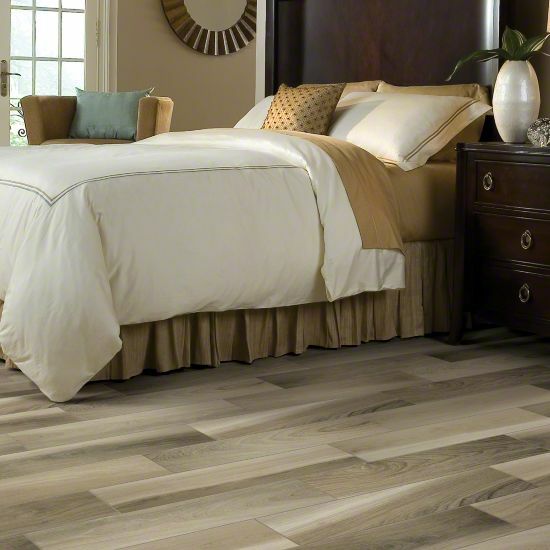 Click here to see our collection of Shaw laminate. Click here to see our collection of Shaw tile. Click here to see our collection of Shaw vinyl. 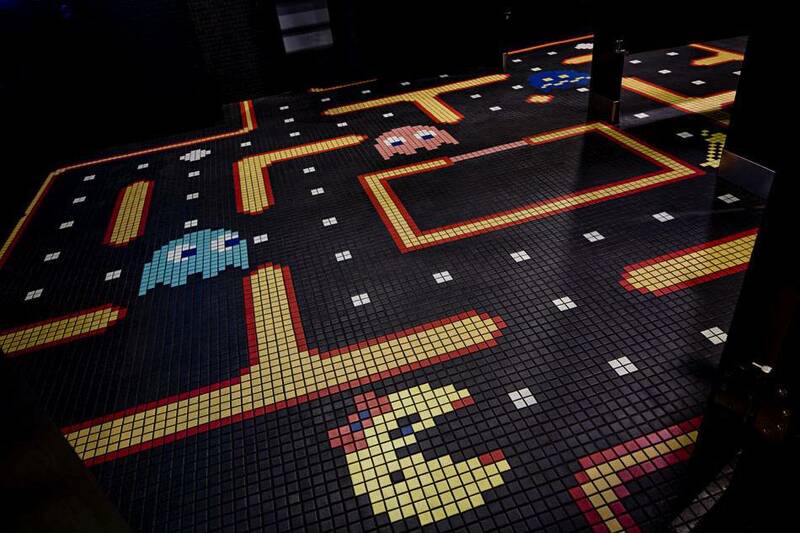 Pac-Man has been a favorite game in arcades for years. 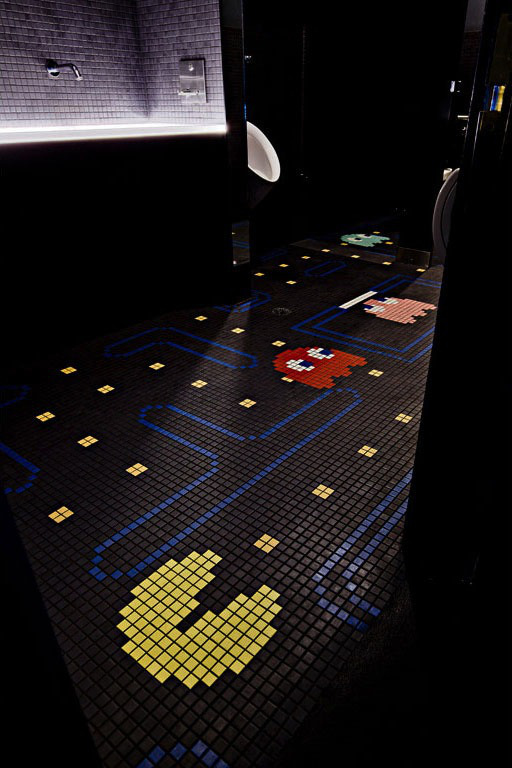 For anyone out there who enjoys the Pac-Man games or old arcade games, then you should definitely check out this creative flooring idea. These bathroom floors were created with mosaic tile. If you have the patience, then you could definitely create this flooring idea in your own bathroom or any room in your home as well. Click here to see our collection of tile flooring. 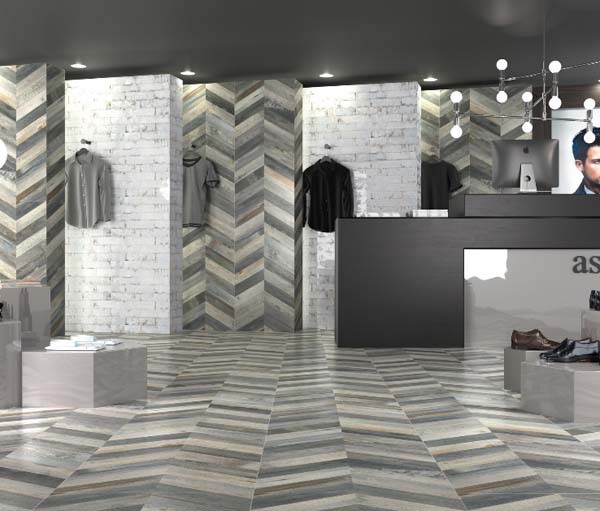 Daltile recently introduced seven new innovative collections, and they have extended three of the natural stone lines. 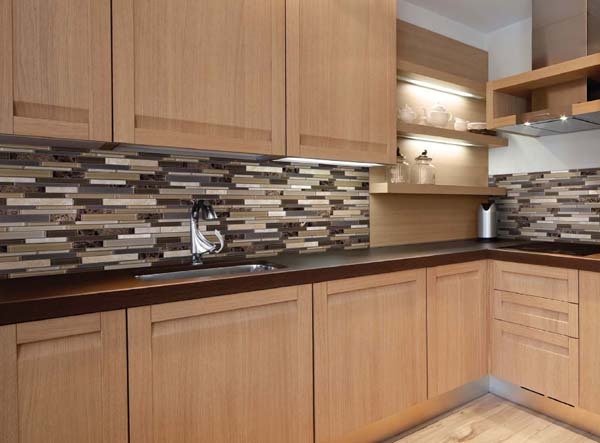 The new lines feature a variety of sizes, colors, and textures, which are inspired from the latest design trends and they are perfect for both residential and commercial spaces. Two of the new additions with wood looks are Yorkwood Manor and Saddle Brook. Artigiano offers a natural, handmade aesthetic, and River Marble captures the look of intricate veining and the organic color palette of natural marble. 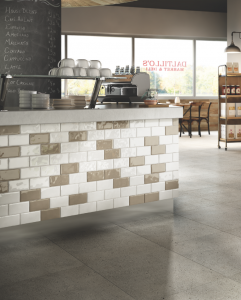 Elevare uses rectangular shapes for the pattern, and Skybridge offers the look of brushed cement. 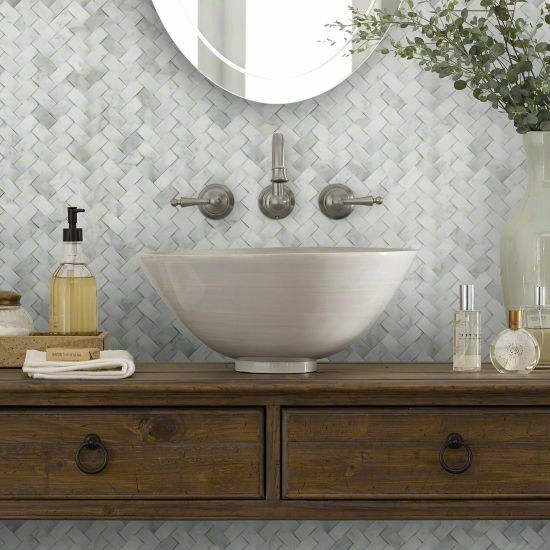 The last new addition, which is Crystal Shores, provides a fresh twist on mosaics. Daltile continues to create trendy and beautiful flooring, which will look great in any home or business. Click here to see our selection of Daltile flooring.